Code editors are probably the most important tools of web developers. Finding one that best fits your workflow and goals, and has all the features you need can save you a lot of time and significantly improve your code quality. In this article, I will show you the five best cross-platform code editors for web developers. All of them run on the three major operating systems, Windows, Linux, and OS X. The features you will need mainly depend on your working style, current coding knowledge, and the kind of work you need to deliver. You can have just one go-to editor that you use for everything, but many developers use different code editors to perform different tasks. 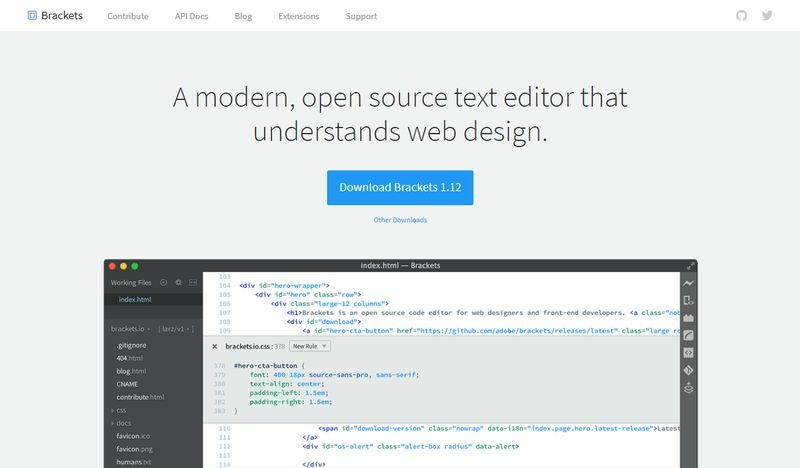 Now, let’s see the five best cross-platform code editors for web developers. 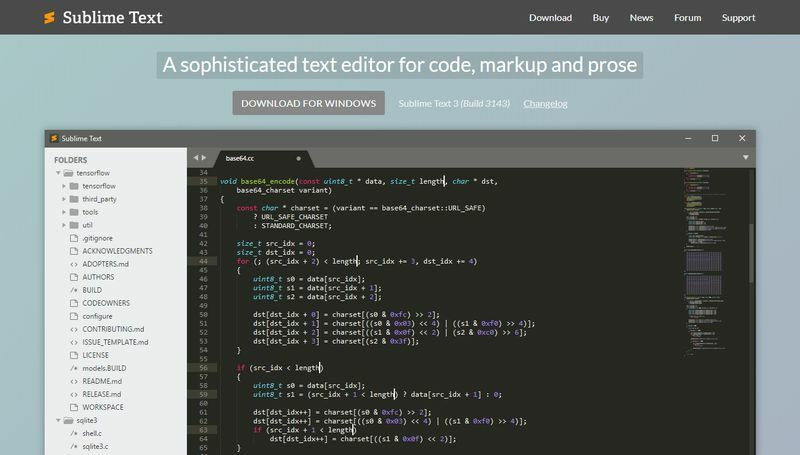 Atom is a free and open-source code editor created by GitHub. At first, it was GitHub’s internal source code editor, but a few years later (in 2014) they decided to release it to the public. As Atom provides developers with many advanced features, it has quickly become one of the most popular code editors. Its UI is exceptionally well-designed, as you can split the interface into different panes in order to easily compare different files. It has many important features that can greatly improve your development workflow, such as a built-in package manager, a smart autocompletion capability, file system browsing, an easy-to-use find-replace feature, and more. 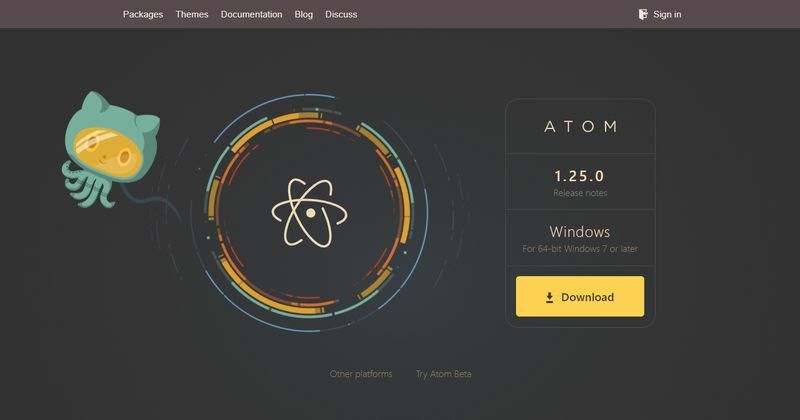 Atom also comes with thousands of open-source packages and themes, many of which are created by third-party developers. For instance, Teletype, its latest package created by the core team, makes real-time collaboration possible for developers who need a reliable tool for pair programming or social coding. Visual Studio Code is Microsoft’s cross-platform source code editor that runs on all major operating systems. Interestingly, Visual Studio Code has been built on top of Atom’s open-source components, however Microsoft removed some features and added a handful of new ones. It’s also faster than Atom, both at startup and while running. Visual Studio Code is fully customizable; you can find many different themes and plugins in the official marketplace. You can install them easily from the editor and start using them immediately. Visual Studio Code has many awesome features that can greatly improve your development workflow. Probably the most notable one is the IntelliSense autocomplete feature that provides you with a list of smart suggestions while you are writing your code. Visual Studio Code also has a great built-in debugger as well that allows you to debug right from the editor. Moreover, it supports Git by default; it has a separate Git View in which you can run different Git commands. Although you can split the editor into vertical or horizontal panes to perform side-by-side coding, Brackets also introduces the handy inline editing feature. For instance, if you select a specific CSS ID with the cursor you can open the inline editor by hitting the Ctrl + E (on Windows) or Cmd + E (on Mac) key combinations. Then, Brackets will show you all the selectors belonging to that ID within an inline window. Brackets also supports Sass and LESS which means you can use them together with the inline editing and live preview features, as well. Sublime Text is already at its third major release (Sublime Text 3) and is a quite popular source code editor within the web developer community. I must add that it’s not free, however it does come with a free trial. For continued use, you must purchase a license for $80. However, Sublime Text doesn’t lock you out if you don’t do so, just occasionally displays a pop-up warning asking you to buy the license. One of Sublime Text’s coolest features is the Goto Anything command you can trigger by hitting the Ctrl + P keyboard shortcut. Then, you can quickly open files, or jump to certain words, lines, or symbols. Sublime Text also provides you with a sophisticated Command Palette through which you can easily access different functionalities such as checking key bindings or switch to another color palette. Moreover, it allows multiple selections and split editing, and also has a huge package ecosystem. Packages can be installed with Sublime Text’s own package manager via the Command Palette. With Light Table, you can easily perform inline evaluation within your code, which means you don’t have to use the console when you want to view your results. The watches feature allows you to keep track of any important value within your code. Moreover, Light Table also makes it possible to embed anything that your project needs, such as graphs, games, and visualizations. 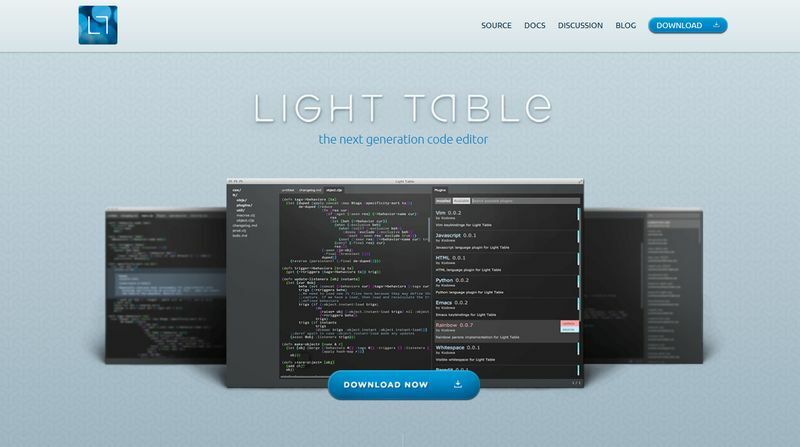 Light Table has a built-in plugin manager (available from the View > Plugin Manager menu), with a fairly good selection of plugins as well. Apart from choosing the code editor that best fits your needs, you may want to look up other web development tools as well. If so, have a look at our article about best cloud IDEs or check out our collection of essential tools we recommend for modern web development. To stay updated with our web development tips and tricks, don’t forget to follow us on Twitter and Facebook either.